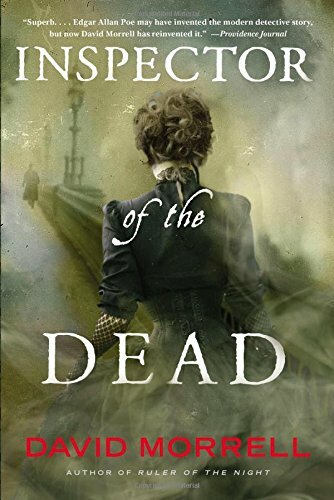 9781410478221 | Large print edition (Thorndike Pr, April 15, 2015), cover price $31.99 | About this edition: Infamous opium consumer Thomas De Quincey, his irrepressible daughter, and their Scotland Yard associates confront the harrowing streets of London to stop a serial killer whose ultimate target is Queen Victoria. 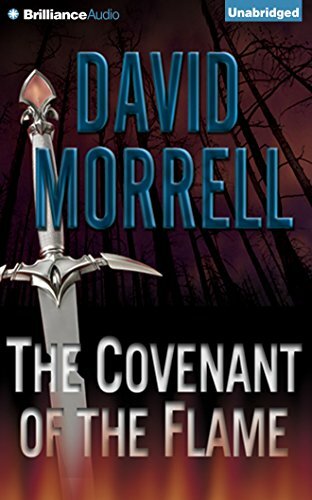 9780316323932 | Mulholland Books, March 24, 2015, cover price $26.00 | About this edition: LEGENDARY THRILLER WRITER DAVID MORRELL TRANSPORTS READERS TO THE FOGBOUND STREETS OF LONDON, WHERE A KILLER PLOTS TO ASSASSINATE QUEEN VICTORIA. 9780316323956 | Mulholland Books, October 11, 2016, cover price $15.99 | About this edition: "A masterful work. 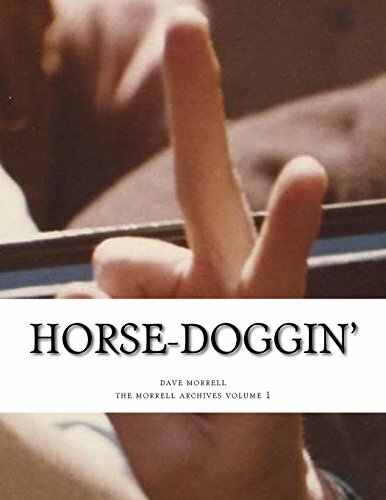 9781516871278 | Createspace Independent Pub, September 29, 2015, cover price $12.99 | About this edition: 1974 - The Promotion Man - New York City, the second volume in the memoirs of longtime record company executive and Beatles collector Dave Morrell, will be published in October. 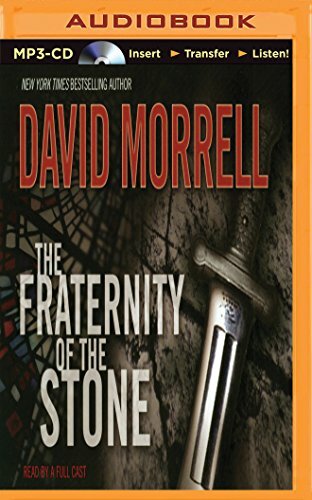 9780708983973, titled "Fraternity of the Stone" | Large print edition (Ulverscroft Large Print Books, April 1, 1987), cover price $29.99 | About this edition: Drew Maclane was a star agent - until the day the killing had to stop. 9780345514509 | Reprint edition (Ballantine Books, August 25, 2009), cover price $15.00 | About this edition: Drew MacLane is a star agent in Scalpel, a clandestine, government-sanctioned organization named for its purpose: precise surgical removal. 9781501288142 | Mp3 una edition (Brilliance Audio, August 18, 2015), cover price $9.99 | About this edition: Drew Maclane was a star agent - until the day the killing had to stop. 9781597377553 | Unabridged edition (Brilliance Audio, January 20, 2006), cover price $29.95 | About this edition: Drew Maclane was a star agent - until the day the killing had to stop. 9781597377577 | Mp3 una edition (Brilliance Audio, January 20, 2006), cover price $24.95 | About this edition: Drew Maclane was a star agent - until the day the killing had to stop. 9781597377584 | Mp3 una edition (Brilliance Audio Lib Edn, January 20, 2006), cover price $39.25 | About this edition: Drew Maclane was a star agent - until the day the killing had to stop. 9781597377560 | Unabridged edition (Brilliance Audio Lib Edn, January 20, 2006), cover price $102.25 | About this edition: A former agent is caught in a web of conspiracy so monstrous, it threatens the existance of institutions as powerful as the Catholic Church. 9781561000104 | Unabridged edition (Brilliance Audio Lib Edn, December 1, 1989), cover price $73.25 | About this edition: Drew Maclane was a star agent - until the day the killing had to stop. 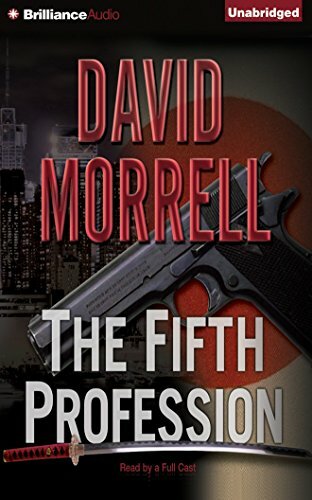 9780446607513, titled "The Fifth Profession" | Grand Central Pub, April 1, 1999, cover price $3.99 | About this edition: Savage, a former Navy SEAL and American state-of-the-art security specialist. 9781501287961, titled "The Fifth Profession" | Mp3 una edition (Brilliance Audio, August 18, 2015), cover price $9.99 | About this edition: Savage, a former Navy SEAL and American state-of-the-art security specialist. 9781597377690, titled "The Fifth Profession" | Mp3 una edition (Brilliance Audio, July 20, 2006), cover price $24.95 | About this edition: When Savage, a former Navy SEAL and an American security specialist, and Akira, a Japanese martial arts expert, join forces to protect Rachel Stone from her billionaire husband, they come face to face with a dark secret from their pasts. 9781597377676, titled "The Fifth Profession" | Unabridged edition (Brilliance Audio, July 20, 2006), cover price $29.95 | About this edition: When Savage, a former Navy SEAL and an American security specialist, and Akira, a Japanese martial arts expert, join forces to protect Rachel Stone from her billionaire husband, they come face to face with a dark secret from their pasts. 9781597377706, titled "The Fifth Profession" | Mp3 edition (Brilliance Audio Lib Edn, July 20, 2006), cover price $39.25 | About this edition: When Savage, a former Navy SEAL and an American security specialist, and Akira, a Japanese martial arts expert, join forces to protect Rachel Stone from her billionaire husband, they come face to face with a dark secret from their pasts. 9781597377683, titled "The Fifth Profession" | Unabridged edition (Brilliance Audio Lib Edn, July 20, 2006), cover price $117.25 | About this edition: When Savage, a former Navy SEAL and an American security specialist, and Akira, a Japanese martial arts expert, join forces to protect Rachel Stone from her billionaire husband, they come face to face with a dark secret from their pasts. 9780930435646 | Unabridged edition (Brilliance Audio, October 1, 1990), cover price $24.95 | About this edition: Savage, a former Navy SEAL and American state-of-the-art security specialist. 9781561000586 | Unabridged edition (Brilliance Audio Lib Edn, September 1, 1990), cover price $89.25 | About this edition: Savage, a former Navy SEAL and American state-of-the-art security specialist. 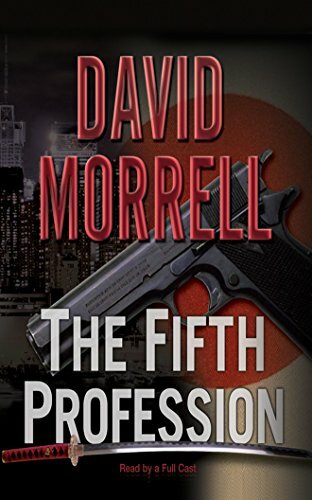 9781558002517, titled "The Fifth Profession" | Dove Entertainment Inc, August 1, 1990, cover price $15.95 | About this edition: Savage, a former Navy SEAL and American state-of-the-art security specialist. 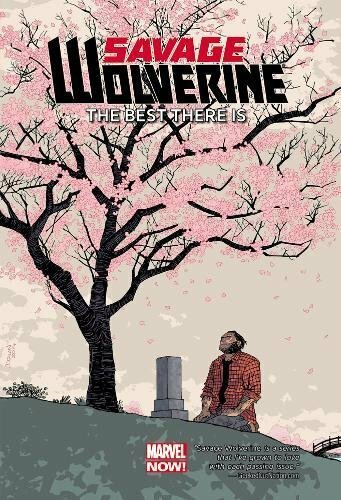 9781934267479 | Collectors edition (Gauntlet Pr, June 15, 2015), cover price $75.00 | About this edition: First came the man: a young wanderer in a fatigue coat and long hair. 9780446364409 | Reprint edition (Grand Central Pub, February 1, 2000), cover price $8.00 | About this edition: When a Vietnam veteran John Rambo arrives in Madison, Kentucky, the sadistic chief of police is determined to rid the town of him, and the two war veterans become involved in a deadly lifeordeath struggle through the hills of rural Kentucky. 9781455800414 | Unabridged edition (Brilliance Audio, March 15, 2011), cover price $19.99 | About this edition: First came the man: a young wanderer in a fatigue coat and long hair. 9781611061680 | Mp3 una edition (Brilliance Audio, March 15, 2011), cover price $17.99 | About this edition: First came the man: a young wanderer in a fatigue coat and long hair. 9781590402283 | Unabridged edition (Phoenix Audio, August 1, 2002), cover price $32.00 | About this edition: Vietnam veteran John Rambo arrives in Madison, Kentucky, and finds himself in a deadly life-and-death struggle with the sadistic chief of police, who is determined to rid the town of him. 9780787124649 | Unabridged edition (Dove Entertainment Inc, March 1, 2000), cover price $25.00 | About this edition: First came the man: a young wanderer in a fatigue coat and long hair. 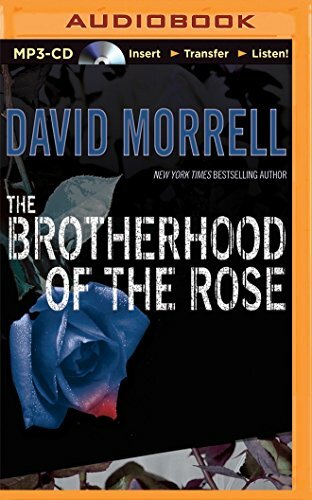 9781501245800 | Mp3 una edition (Brilliance Audio, March 31, 2015), cover price $14.99 | also contains The Brotherhood of the Rose/ | About this edition: Orphans. 9781597377492 | Unabridged edition (Brilliance Audio, October 20, 2005), cover price $29.95 | About this edition: Orphans. 9781597377515 | Mp3 una edition (Brilliance Audio, October 20, 2005), cover price $24.95 | About this edition: Orphans. 9781597377522 | Mp3 una edition (Brilliance Audio Lib Edn, October 20, 2005), cover price $39.25 | About this edition: Trained as assassins from childhood by Eliot, their foster father, orphan brothers Chris and Saul relentlessly seek revenge when, after years of successful assignments, Eliot betrays them. 9781561000050 | Unabridged edition (Brilliance Audio Lib Edn, August 1, 1985), cover price $57.25 | About this edition: They were orphans, Chris and Saul - raised in a Philadelphia school for boys, bonded by friendship, and devoted to a mysterious man called Eliot. 9781501239441 | Unabridged edition (Brilliance Audio Lib Edn, March 1, 2015), cover price $87.97 | About this edition: For two thousand years a hidden conflict has been waged. 9781597377744 | Unabridged edition (Brilliance Audio Lib Edn, September 20, 2006), cover price $117.25 | About this edition: As extortion and murder become the lethal weapons being used to combat the worldwide destruction of natural resources, a young investigative reporter becomes caught between two brutal factions, with the fate of the world hanging in the balance. 9781501239663 | Unabridged edition (Brilliance Audio Lib Edn, March 1, 2015), cover price $87.97 | About this edition: Savage, a former Navy SEAL and American state-of-the-art security specialist. 9781501239762 | Unabridged edition (Brilliance Audio Lib Edn, March 1, 2015), cover price $87.97 | About this edition: Drew Maclane was a star agent - until the day the killing had to stop. 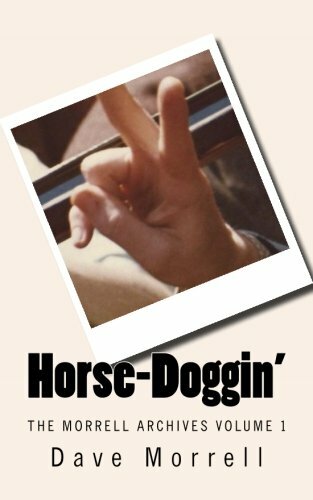 9781497594104 | Createspace Independent Pub, May 20, 2014, cover price $12.99 | About this edition: Book Chronicles The Music, The Madness, The Mayhem And The Fun Of NYC Circa 1971, As Teen Journeys From Superfan To Music Biz Insider. Product Description: A wonderful journey a fan took after he left school and headed to New York City in the early '70s. Records, concerts, photography, and meeting the artists led to working with them in the music business as the years rolled on. 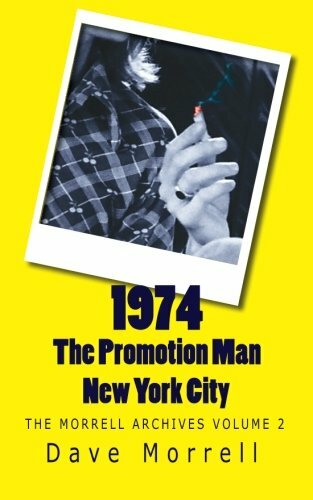 9781497346079 | Createspace Independent Pub, March 14, 2014, cover price $12.99 | About this edition: A wonderful journey a fan took after he left school and headed to New York City in the early '70s. 9781469287782 | Mp3 una edition (Brilliance Audio Lib Edn, July 9, 2013), cover price $39.97 | About this edition: Peter Houston wanted to find the grave of the war-hero father he never knewâa yearning that drew him thousands of miles from home to a military cemetery in France. 9781469287805 | Unabridged edition (Brilliance Audio Lib Edn, July 9, 2013), cover price $59.97 | About this edition: Peter Houston wanted to find the grave of the war-hero father he never knewâa yearning that drew him thousands of miles from home to a military cemetery in France. 9780449203910 | Reissue edition (Crest, September 1, 1990), cover price $4.95 | also contains Amor Con Amor Se Paga | About this edition: He wanted to make peace with the past. 9781469287768 | Unabridged edition (Brilliance Audio, July 9, 2013), cover price $24.99 | About this edition: Peter Houston wanted to find the grave of the war-hero father he never knewâa yearning that drew him thousands of miles from home to a military cemetery in France. 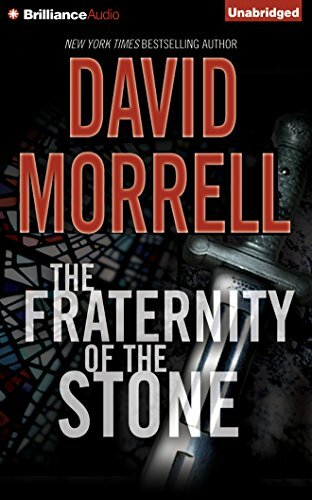 9781410458964 | Large print edition (Thorndike Pr, May 15, 2013), cover price $31.99 | About this edition: GASLIT LONDON IS BROUGHT TO ITS KNEES IN DAVID MORRELL'S BRILLIANT HISTORICAL THRILLER. 9780316216784 | Reprint edition (Mulholland Books, June 10, 2014), cover price $16.00 | also contains Murder as a Fine Art | About this edition: ALA Reading List Award for Best Mystery GASLIT LONDON IS BROUGHT TO ITS KNEES IN DAVID MORRELL'S BRILLIANT HISTORICAL THRILLER. 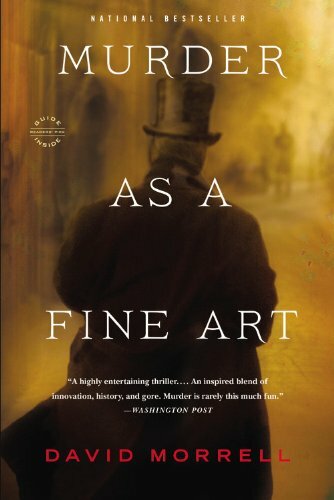 9781444755688 | Hodder & Stoughton, May 9, 2013, cover price $21.75 | also contains Murder as a Fine Art | About this edition: ALA Reading List Award for Best Mystery GASLIT LONDON IS BROUGHT TO ITS KNEES IN DAVID MORRELL'S BRILLIANT HISTORICAL THRILLER. 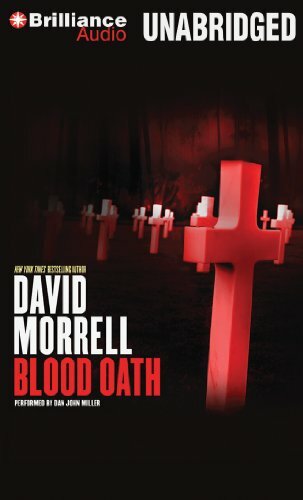 9780316216791 | Mulholland Books, May 7, 2013, cover price $25.99 | About this edition: ALA Reading List Award for Best Mystery GASLIT LONDON IS BROUGHT TO ITS KNEES IN DAVID MORRELL'S BRILLIANT HISTORICAL THRILLER. 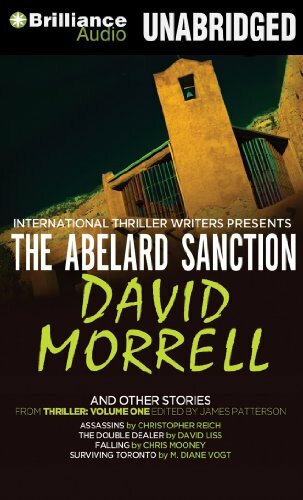 9781455850020 | Unabridged edition (Brilliance Audio, June 1, 2012), cover price $9.99 | About this edition: “The Abelard Sanction” by David Morrell The Brotherhood of the Rose is a special book for David Morrell — his first New York Times bestseller. 9781611061918 | Unabridged edition (Brilliance Audio Lib Edn, December 15, 2011), cover price $69.97 | About this edition: Once Chase Malone waged war. 9781611061932 | Mp3 una edition (Brilliance Audio Lib Edn, December 15, 2011), cover price $39.97 | About this edition: Once Chase Malone waged war. 9780783890876 | Large print edition (G K Hall & Co, September 1, 2000), cover price $29.95 | About this edition: After agreeing to paint a portrait of the wife of Derek Bellasar, an international arms dealer, former marine-turned-artist Chase Malone matches wits with Bellasar while trying to rescue his current wife from the lethal fate of her predecessors. 9780446609609 | Grand Central Pub, May 1, 2001, cover price $7.50 | About this edition: After taking a commission to paint a portrait of Sienna, the wife of businessman Derek Bellasar, former marine-turned-artist Chase Malone matches wits with a dangerous arms dealers as he sets out to rescue Sienna from a lethal fate. 9780759563285 | Grand Central Pub, May 1, 2001, cover price $12.99 | About this edition: After taking a commission to paint a portrait of the wife of Derek Ballasar, a mysterious 'businessman,' former marineturnedartist Chase Malone finds himself matching wits with one of the world's most dangerous and psychopath arms dealers as he sets out to rescue Bellasar's current wife from the lethal fate meted out to her predecessors. 9781611061901 | Unabridged edition (Brilliance Audio, December 15, 2011), cover price $19.99 | About this edition: Once Chase Malone waged war. 9781611061925 | Mp3 una edition (Brilliance Audio, December 15, 2011), cover price $17.99 | About this edition: Once Chase Malone waged war. 9781590401804 | Unabridged edition (Phoenix Audio, September 1, 2001), cover price $32.00 | About this edition: After taking a commission to paint a portrait of Sienna, the wife of businessman Derek Bellasar, former marine-turned-artist Chase Malone matches wits with a dangerous arms dealers as he sets out to rescue Sienna from a lethal fate. 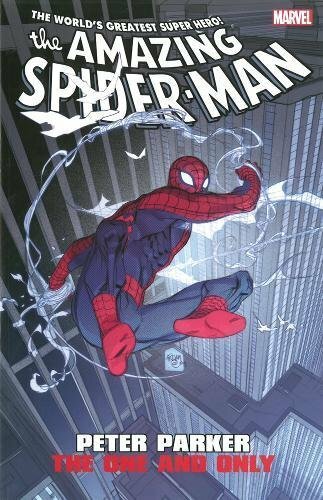 9780787124588 | Unabridged edition (Dove Entertainment Inc, March 1, 2000), cover price $30.00 | About this edition: Once Chase Malone waged war. 9781611061840 | Unabridged edition (Brilliance Audio, October 15, 2011), cover price $19.99 | About this edition: Then a bungled covert operation kills twenty-three people and leaves Decker shouldering the blame. 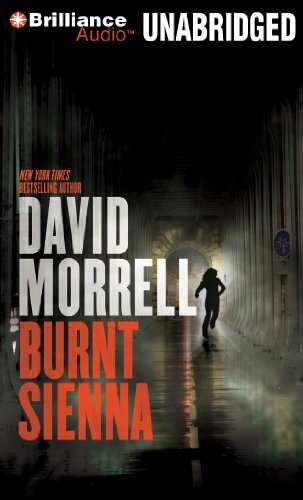 9781611061864 | Mp3 una edition (Brilliance Audio, October 15, 2011), cover price $17.99 | About this edition: Then a bungled covert operation kills twenty-three people and leaves Decker shouldering the blame. 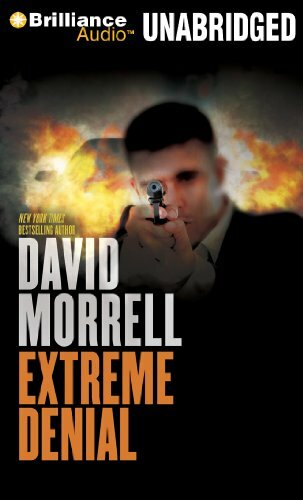 9780787105822 | Dove Entertainment Inc, January 1, 1996, cover price $24.95 | About this edition: An American intelligence operative who thinks he has left his career behind finds himself embroiled in intrigue once again when his girlfriend becomes the target of terrorists. 9781611061857 | Unabridged edition (Brilliance Audio Lib Edn, October 15, 2011), cover price $69.97 | About this edition: Then a bungled covert operation kills twenty-three people and leaves Decker shouldering the blame. 9781611061871 | Mp3 una edition (Brilliance Audio Lib Edn, October 15, 2011), cover price $39.97 | About this edition: Then a bungled covert operation kills twenty-three people and leaves Decker shouldering the blame. 9781410410665 | Large print edition (Thorndike Pr, November 19, 2008), cover price $31.95 | also contains The Spy Who Came for Christmas | About this edition: Itâs Christmas Eve in Santa Fe, but among the revelers on Canyon Road, a decidedly unholy scene is taking place. 9781593157012 | Reprint edition (Perseus Books Group, October 4, 2011), cover price $6.99 | also contains The Spy Who Came for Christmas | About this edition: Itâs Christmas Eve in Santa Fe, and the city is resplendent with lights and decorations. 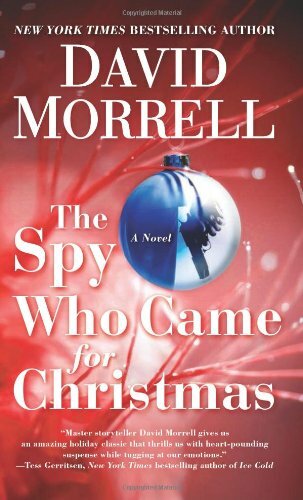 9781593155636 | Reprint edition (Perseus Books Group, October 13, 2009), cover price $10.00 | also contains The Spy Who Came for Christmas | About this edition: It's Christmas Eve in Santa Fe. 9781593154875 | Perseus Books Group, October 28, 2008, cover price $15.95 | About this edition: Itâs Christmas Eve in Santa Fe, but among the revelers on Canyon Road, a decidedly unholy scene is taking place. 9781423361725 | Mp3 una edition (Brilliance Audio, October 28, 2008), cover price $24.95 | About this edition: Itâs Christmas Eve in Santa Fe, but among the revelers on Canyon Road, a decidedly unholy scene is taking place. 9781423361701 | Unabridged edition (Brilliance Audio, October 28, 2008), cover price $26.99 | About this edition: Itâs Christmas Eve in Santa Fe, but among the revelers on Canyon Road, a decidedly unholy scene is taking place.